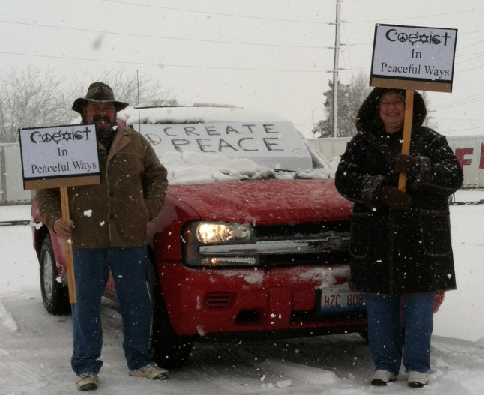 Owl Creek Gazette: Peace Vigil in the Spring (and the snow)! Peace Vigil in the Spring (and the snow)! Spring may have sprung ... but someone forgot to tell old man winter. We braved the weather for a good 25 minutes on this March 24th for our monthly Peace Vigil ... and then called it a day.